Do you like your vegetables? On the fence? 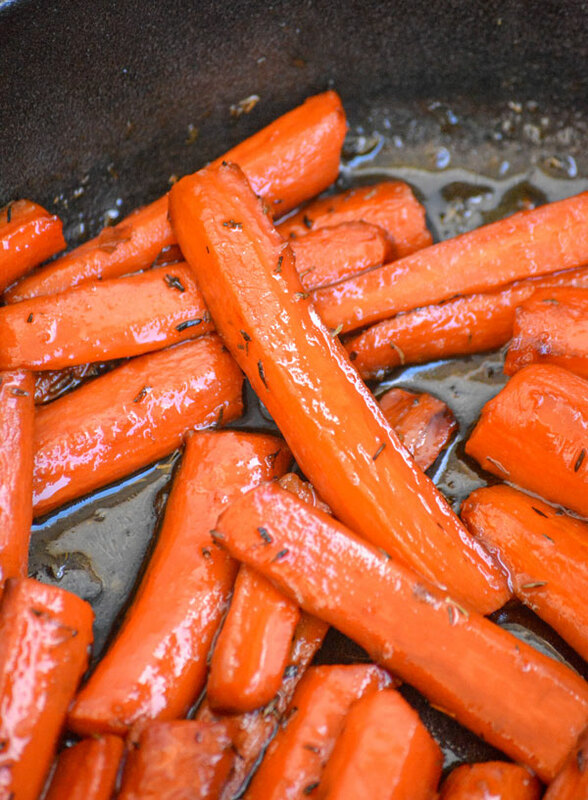 Turn your veggies into something you love with these Maple Glazed Thyme Roasted Carrots. Tender roasted carrots are glazed with smooth maple syrup, sauteed with thyme leaves, and roasted to perfection. 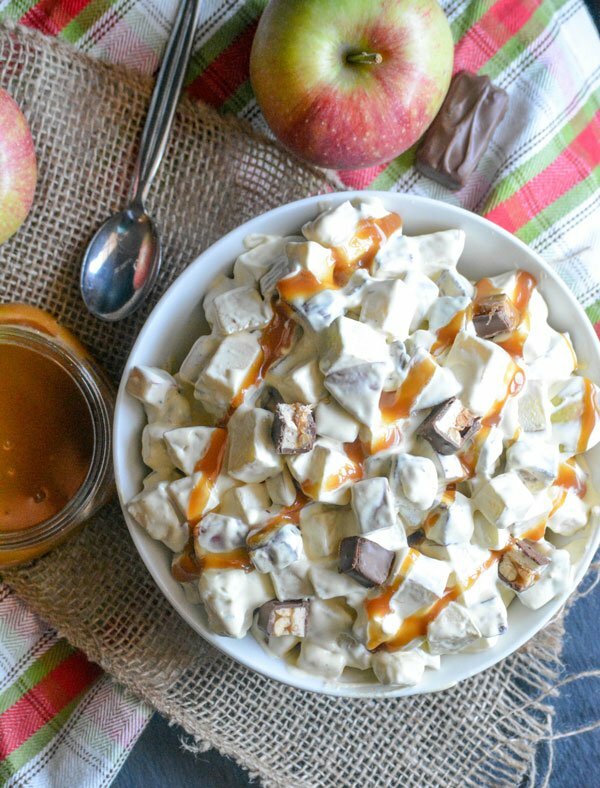 It’s sure to be your go to side dish for any meal. While I love all the flavors in a ‘loaded’ baked potato, I was craving something different. Any combination of broccoli and cheddar is always a hit here, especially when it’s accompanied by something extra crispy. In this case, the twice baked potato skin provided that perfect, accompanying crunch. Did I mention that this is actually a relatively healthy side dish? I might have forgotten to share that with the boys. Accidentally, on purpose. Without that ‘it’s something good for you’ vegetable taint hanging over their heads, they dug in with relish and devoured every last bite. As an added bonus, these lovely little potatoes can be frozen and pulled out as needed for meals or even for a light lunch. I just love freezer cooking. This potato recipe is definitely the whole kit and caboodle. Pierce the cleaned potatoes several times with a fork. Bake for 1 hour in oven at 425 degrees. Optionally, you could instead place them in the microwave and use your baked potato setting until the potatoes are cooked through, turning half way. However, in my opinion, cooking them in the oven the entire time give them more a crispier skin when finished. Meanwhile, in a medium saucepan, add broccoli to a little salted water and cook, covered for about 3 minutes. Remove the broccoli with a slotted spoon and set aside. Let the potatoes cool enough to comfortably handle them. Cut the potatoes in half lengthwise. Scoop the flesh out into a large bowl, leaving a ¼” shell. Place the potato shells on a baking sheet. Mash the flesh with a potato masher or puree with a hand blender. Add the milk, yogurt, and salt, mash until smooth. Fold in half of the shredded cheddar (and chives if desired). Spoon the potato mixture back into the shells. 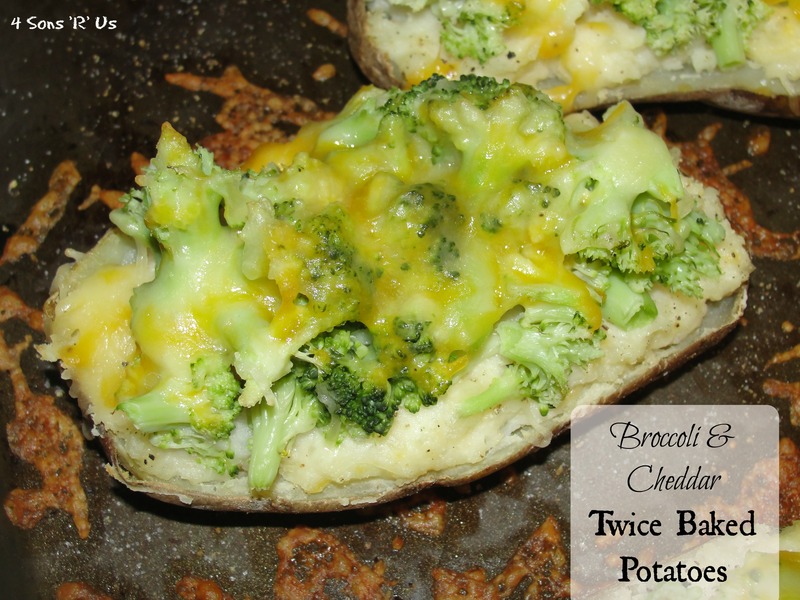 Top with the cooked broccoli and remaining cheese on top. To Freeze: Follow directions above but do not bake a second time. Instead, wrap in saran wrap and place in a gallon freezer bag. To serve: Bake at 400 degrees for 30 minutes or microwave for 2-3 minutes or until heated through.